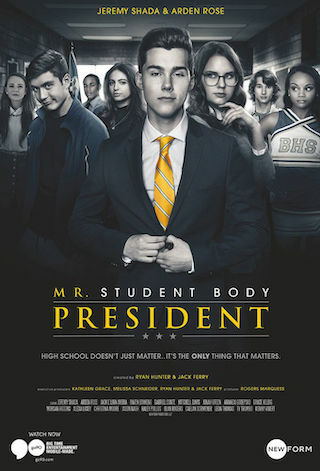 Mr. Student Body President is a 15 minute scripted comedy television series, which kicked off on September 22, 2016, on go90 and is broadcast every Thursday at 08:00. The show is currently in its 4th season. go90 is yet to announce the renewal of Mr. Student Body President for Season 5 as well as its cancelation. Sign up to track down the show's status and its release date. Tyler Prendergast is the most ambitious student body president in the history of Berenger High. With his Machiavellian chief of staff, Hadley, Prendergast runs the school like a slick politician on Capitol Hill, as he maintains power by any means necessary.